Yesterday I gave a webinar which emphasized the importance of developing the best alignment between partnering organizations. Of all the positive feedback, this one made my day. OK, so I’m bragging a bit but the timing couldn’t be better, because the next installment in the Win-Win for the Greater Good series is about the critical importance of alignment. As we saw in what I feel was the stunningly poor example of brand fit between Kentucky Fried Chicken and Susan G. Komen in the “Buckets for the Cure” campaign, the wrong product or service alignment can be disastrous for a cross-sector partnership or cause marketing campaign, and more importantly, to an organization’s reputation. In your Assessment Process, you looked at your brand, what your organization stands for and the reputation of your company in the marketplace. This is the starting point of your alignment process. Appropriate brand fit is fairly obvious. If you are a grocery store, for example, an appropriate brand alignment would be to work with your local food bank or a homeless shelter. If you are a construction or hardware supply company, Habitat for Humanity or Rebuilding Together would provide outstanding alignment because your business expertise, employee talents and your knowledge of construction materials are needed in the building or remodeling of homes. This alignment creates a natural flow when integrating the mission and cause of your partners into your own organization’s culture. It just makes sense – to you, to your organization, to your partners, to the public – to all you wish to attract to the cause. A perfect example of excellent brand fit or alignment is the partnership between Barefoot Wine and the Surfrider Foundation, whose mission is the protection and enjoyment of oceans, waves and beaches. 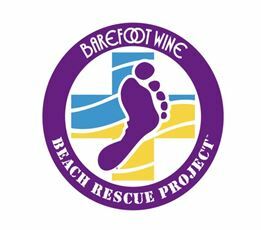 Together they created the Barefoot Wine Beach Rescue Project to help keep America’s beaches “barefoot friendly.” The partnership hosted beach cleanups and restoration events coast-to-coast, utilizing volunteers to clean the shorelines, plant native greenery and collect litter along the beaches. At the end of each event, volunteers enjoyed Barefoot Wine and surf-inspired food. Aligning a brand like Barefoot Wine with the surfing-originated and water-focused Surfrider Foundation is an example of excellent alignment. Even the events themselves emphasized this barefoot-friendly fit. The campaign won the Cause Marketing Forum’s 2012 “Halo Award” for Best Environmental or Animal Campaign. And while the campaign and both organizations are national in scope, this type of cause-related campaign could just as well have been orchestrated with any community park, beach or swimming pool partnering with local businesses related to water sports. It’s about finding the right idea and the right brand fit. This entry was posted on Wednesday, July 30th, 2014 at 5:54 pm and is filed under Uncategorized. You can follow any responses to this entry through the RSS 2.0 feed. You can leave a response, or trackback from your own site.